We are listing Dom Savone at this incredible price for 2 reasons - his age and an overabundance of his genetics on our farm. We like him that much! Savone is a beautiful full Peruvian silver grey male. He's a large alpaca with a regal presence, much like his sire 6P Dom Timbo (the first male chosen in the sixth import). 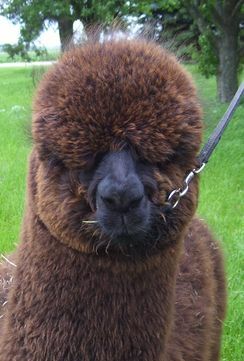 During his show career, judges commented on his strong conformation; the extremely soft and beautiful handle of his fleece, the uniformity and lovely character of his crimp; and the density throughout his fleece. At 7 years his histogram was AFD: 24.1, SD 5.8, CV 24.1, 10.3%>30mic. After several years of breeding, he has produced offspring with beautiful heads, good conformation, and lovely fleeces. When bred to grey or black females, he has thrown either gray or black. 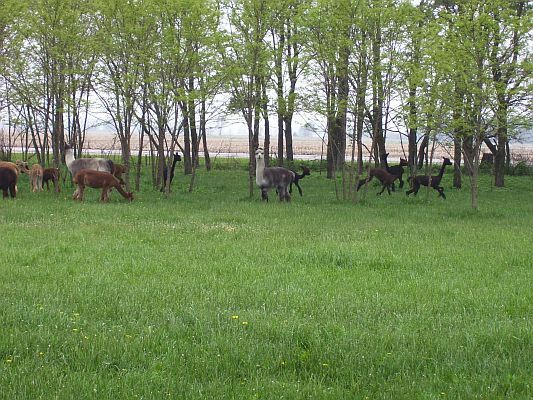 When bred to fawn or brown, he has thrown rose grey, brown, and black. Want a Silent Night Cria? Here's an idea. Pick one of her awesome offspring on our sales list. Or, if you want to add to your herd later, pre-purchase a cria...we'll breed Silent Night to the herdsire of your choice, care for her, birth the cria and deliver the baby to you after weaning! Salena has a beautiful phenotype, completely supported by her genotype. She has a buttery-soft fleece with great brightness and a merino style crimp. Salena will be in her first shows this year at GMAF and I-80. Salena is from our outstanding Peruvian grey male, Dom Savone, who continued to possess great fleece characteristics and perfect conformation until his passing. 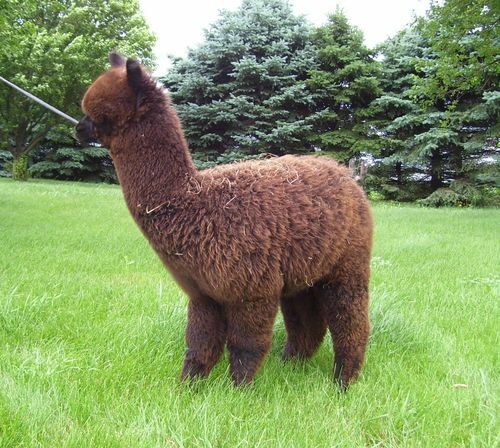 Salena's dam is none other than 6P Silent Night- Snowmass Alpacas first pick in the 1998 Peruvian importation and the female they call "the best True Black import female we have ever purchased from Peru".